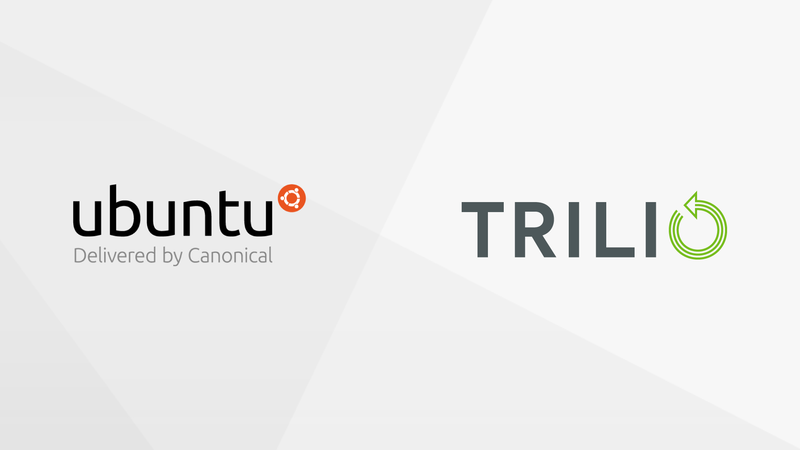 OpenStack Vancouver: – May 22, 2018 – Canonical and Trilio announced today a partnership agreement to deliver TrilioVault backup and recovery solutions as part of BootStack, Canonical’s fully managed OpenStack private cloud solution. TrilioVault will also be made available as an option to Ubuntu Advantage support customers. As a result, users already taking advantage of the Ubuntu platform for their OpenStack deployment now have seamless access to the only OpenStack-native data protection solution on the market. Together, the two companies are pushing the boundaries of enterprise OpenStack clouds to become increasingly easier to build, simpler to manage, and more reliable in the event of a disaster. BootStack is Canonical’s fully managed OpenStack private cloud solution, running on customer hardware in their datacenter, remotely operated and supported by Canonical’s expert Reliability Engineers. With certified hardware, pre-tested software architectures and fully automated deployment, BootStack can be deployed into production in as little as two weeks. TrilioVault’s multi-tenant, agentless software provides self-service protection and recovery of entire workloads to tenants and administrators. Architected for the cloud, TrilioVault can scale quickly with zero performance degradation. With TrilioVault, businesses have total control to back up their clouds in a way that’s easily recoverable and requires little-to-no central IT administration. Canonical is the company behind Ubuntu, the leading OS for container, cloud, and hyperscale computing. The majority of public cloud workloads and large-scale OpenStack deployments are on Ubuntu, which offers both KVM and the pure-container LXD hypervisor. Canonical provides enterprise products, support and services for Ubuntu. Established in 2004, Canonical is a privately held company. Trilio is a leader in data protection for OpenStack and RHV environments, and the only provider of OpenStack-native backup and recovery solutions. Since 2013, Trilio has been on a mission to give tenants more control over their ever-changing, growing, complex, and scalable cloud-based architectures. Today, Trilio is trusted by businesses all around the world to protect their clouds in a way that’s easily recoverable, and requires little-to-no central IT administration. Follow us on Twitter @triliodata and LinkedIn or visit www.trilio.io to learn more.